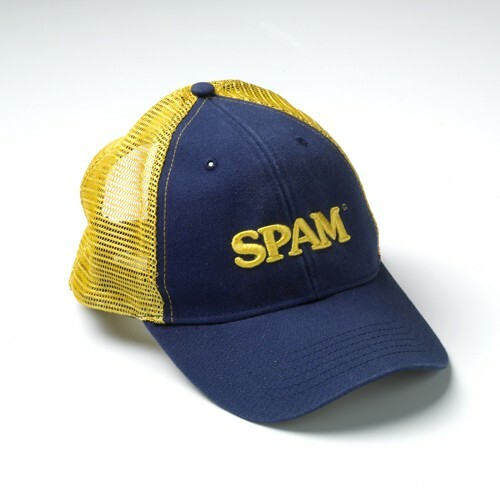 Navy cap with gold mesh sides and back SPAM® Brand raised embroidered logo on front in gold. Low profile and structured bill with adjustable back closure. One size fits most.